It’s safe to say that the PlayStation 4 reveal this year was solely focused on taking down the folks at Redmond. After teasing the PlayStation 4 for months, the actual console was finally shown off at the Sony E3 2013 PlayStation briefing, in addition of course, to a whole bunch of games. There were a couple of announcements that pretty much took potshots at the Xbox One, and could very well turn the tide of this generation’s console wars. Here’s our roundup of said PlayStation briefing with details on launch, price and games of the PlayStation 4. The previous generation console games were first shown off, because there’s some really great exclusives coming up. Ellen Page’s game debut, Beyond: Two Souls was a highlight, then there was Rain, a new Japanese game and of course, Gran Turismo 6. For now, Gran Turismo 6 remains a PlayStation 3 exclusive, and a release for the next generation is being mulled over. 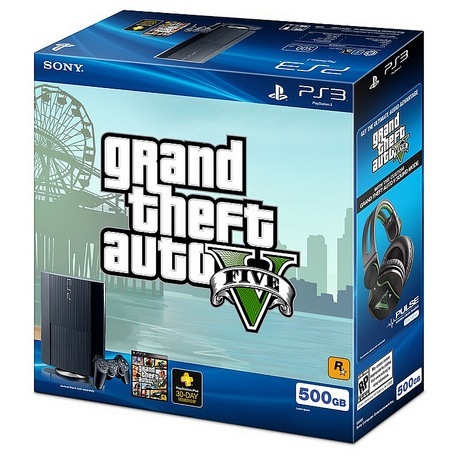 Non exclusive titles like Batman: Arkham Origins and Grand Theft Auto V were shown as well, plus a GTA V bundle that includes the PS3 console, the game and an exclusive GTA V branded headset. PS Vita was shown off as not only a solid independent gaming device, but also a companion to the PlayStation 4, which will expand its functionality, just like Smartglass on the Xbox One. As promised, the actual console was finally revealed, a sleek, black rhomboid shaped device with a bluish LED stripe on it. It looks very sleek and futuristic, and is rather muted compared to the older PlayStation’s more severe curves. It’s a bit larger than the PlayStation 3 in size and draped in matte black, quite business like. Looks great! Even though the PlayStation 4 is more oriented towards gaming, there’s quite a lot in there for music, TV and movies too. Sony announced that Music Unlimited and Video Unlimited will be available at launch that lets users choose music and movies from a huge catalog. Redbox Instant is also joining the PlayStation network, and so is Flixster, but only on the PlayStation 3 and PS Vita for now. Finally, it was also announced that exclusive programs would be produced for the PlayStation Network by Sony Studios, but no other details like the pricing model were mentioned. Everyone was waiting for more PlayStation 4 games to be shown, and they were not disappointed. 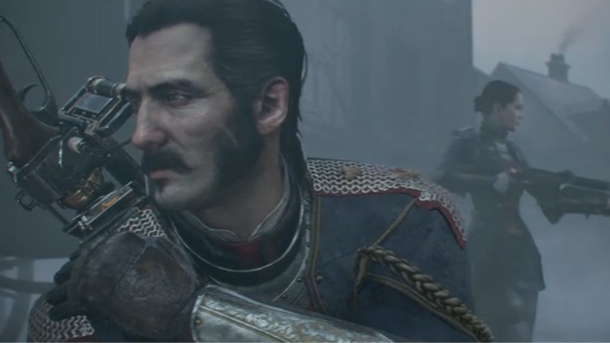 First off was an exclusive from the makers of God of War for PSP called The Order: 1886. It’s a steampunk style shooter set in Victorian London that follows a male-female duo taking on supernatural threats. It ran in engine and looked gorgeous, not to mention super fun! 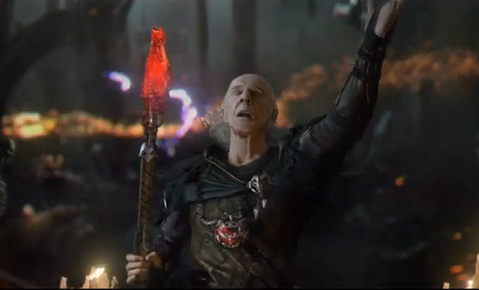 Killzone Shadowfall was shown at the reveal a couple of months ago, and made a return with more gameplay footage. It looks as stunning as ever and really seems to justify the “next gen” tag. It was revealed to be a launch title for the PlayStation 4 along with an action platformer called Knack from Sony’s Japan Studio. inFamous Second Son also got a second showing, but will not be a launch title, instead landing in Q1 2014. However it does qualify as a launch window title, so it’s a strong and quite varied showing of launch titles. The previously shown Driveclub made an appearance as a launch title, going head to head with the Xbox One’s Forza Motorsport 5. Even though it’s a launch title, PlayStation Plus subscribers will be able to play it for free at launch, for a whole year! That’s a really great deal that only adds to the free games offered with the PlayStation Plus subscription. Although currently a prototype, the impressive tech demo shown at the previous PlayStation event was shown in its entirety here. It involves an old sorcerer claiming to be the best in the world, and later revealed only to be an actor in a stage. Developed by Quantic Dream, makers of Heavy Rain, it really shows off the graphical prowess of the PlayStation 4. One of the biggest advantages of the Sony PlayStation 4 is the indie game developer support. Even though the Xbox One “supports” them, it isn’t quite in the league of the PlayStation 4, which allows self publishing. There were a ton of new indie games shown off as PlayStation exclusives, like Transistor, Don’t Starve, Mercenary Kings, Secret Ponchos, Ray’s The Dead, Outlast! and Galak-Z. Even though most people are looking for larger developer games, the fact that indie developers are getting some love from Sony is a good thing. It wouldn’t be a PlayStation presentation without Square Enix showing off some games would it? A game that was in development hell since almost 7 years was finally revealed to be coming to the PlayStation 4. Originally revealed as Final Fantasy Versus XIII, this spinoff of the original series has now been rebranded to Final Fantasy XV. It was announced to be coming to the PlayStation 4, but it wasn’t made clear if it will be an exclusive or not. Update: It’s not an exclusive and will come to the Xbox One as well. The critically acclaimed and super popular Kingdom Hearts series was revealed to be getting a proper sequel on the PlayStation 4. For those who don’t know, the Kingdom Hearts series is well known for the collaboration between Square Enix and Disney Studios where characters from Final Fantasy and The World Ends With You interact and star in original stories with beloved Disney Characters. Unfortunately a release date was not mentioned. 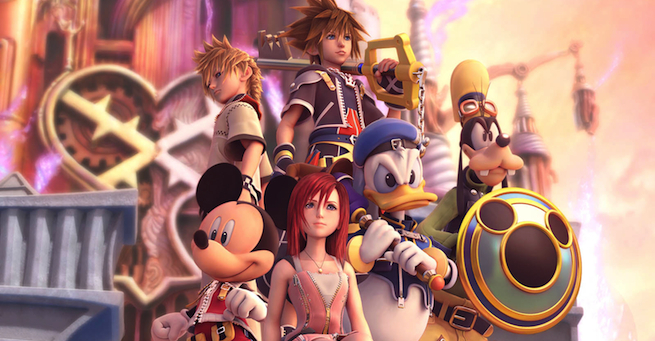 Update: Kingdom Hearts III will also release on the Xbox One. Two of the biggest titles from Ubisoft had an extended showing at Sony’s E3 2013 PlayStation briefing, and despite some technical problems, was quite impressive. They’re not exclusives, but are very big releases for pretty much any platform they will release on. Watch Dogs, however, will release with an extra hour of gameplay for PlayStation 4 owners. The Elder Scrolls Online was also revealed to be coming to the PlayStation 4, not as an exclusive though, it will be available on the PC, Mac and Xbox One as well. PlayStation 4 users will be able to access it earlier via an exclusive early beta though. 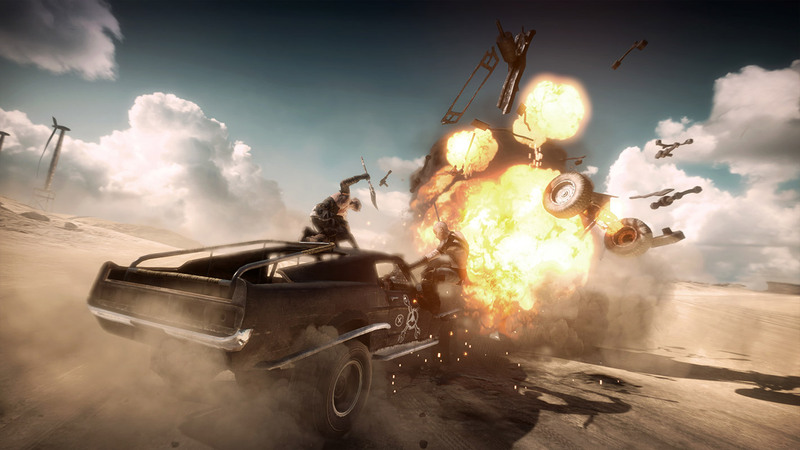 A long awaited video game adaptation of the classic action movie series was also unveiled here, developed by Avalanche Studios. Again not an exclusive to Sony’s platform, it was however the first time the game was shown off to the world. It looks suitably gritty and will hit stores sometime in 2014. The Xbox One needs to connect to the internet at least every 24 hours to keep functioning and 1 hour if you’re playing on an Xbox One that isn’t yours. Furthermore, used games can only be traded to friends in your list since 30 days and can only be done so once. If you decide you’ve had enough of a game, it can be sold to participating retailers, but at terms decided by the publisher. This basically means a lot of restrictions for gamers but isn’t the end of the world as we know it. But Sony made a smart move by not requiring an internet connection at all to play games, and games can be traded, loaned or borrowed just like earlier, without any verification. This was the announcement that got the loudest cheers, and for a lot of people, this might just be what sways their judgement on what console to buy this generation. Another great feature that was announced today was that the PlayStation 4 won’t be region locked, so you can play games from all over the world, no restrictions. That makes it a true global console. Unlike the previous consoles, multiplayer gaming will require a PlayStation Plus paid subscription. Amidst the roars of approval for the no restrictions on used games and sharing for PlayStation 4, this piece of information was dropped. When Xbox Live was announced with the original Xbox with a paid subscription, it drew some flak, but went on to become the best online service for consoles. From this generation onwards, even Sony is adopting the paid subscription model, although it won’t cost as much as an Xbox Live Gold subscription. 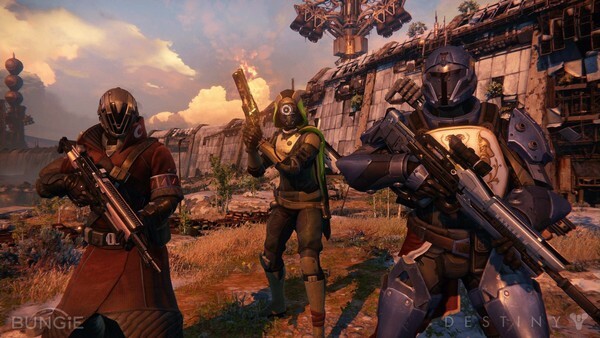 Bungie, previous developers of the Halo series finally unveiled gameplay footage of their next called Destiny. Destiny is an upcoming online MMO persistent world game that will be available on Xbox 360, Xbox One, PlayStation 3 and PlayStation 4. Combining a science fiction story with open world gameplay, the main feature of Destiny is the persistent world which has events going on all the time, whether or not you’re playing. It makes a big difference in giving off that illusion of a real different world and looks very promising. Since both the Xbox One and PlayStation 4 have a change in architecture, the newer consoles are not backwards compatible. Sony, however is bringing its catalog of older games to the PlayStation 4 via online streaming sometime in 2014, first in the United States. This is the result of Sony’s acquisition of Gaikai, a cloud gaming company similar to OnLive. What remains to be seen is how well the streaming and latencies will hold up, what the prices will be and how it will handle the situation where a gamer already has the disc of the game they want to play on their PlayStation 4. The cloud gaming service will also be available on the PlayStation 3 and later, the PS Vita. Another way where Sony one upped Microsoft was with regards to pricing. 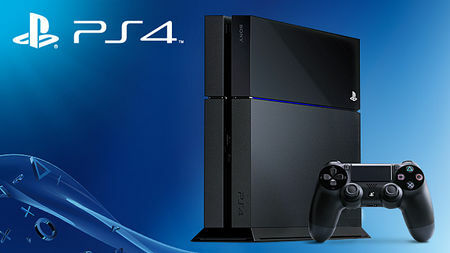 The PlayStation 4 will hit stores more or less the same time as the Xbox One, but for 100$ cheaper. The launch price was announced as 399$, which garnered an even better response than the announcement of the used games policy. So looks like Sony came good on its promise of a console solely focused on games, with a really appealing price to boot. However, this is keeping in mind that the PlayStation 4 will not include voice control, multimedia integration and anything borne from the Kinect. Of course, not everyone wants all that, but that’s the reason for the difference in price. Overall the Sony E3 2013 PlayStation briefing was very impressive and quite decidedly aggressive, but we’d have liked if more exclusives were shown off. There’s no doubt that Uncharted, God of War and the like will make an appearance, but we’d have liked if there were announcements about them. Do let us know what you think of our roundup, did Sony just decide the console wars?